An extreme closeup of the tuberculosis bacteria. Doctors are now seeing some success in treating the drug resistant form of this disease. A form of tuberculosis that has been called a virtual death sentence by world health officials is a growing threat in nearly 50 countries. Extensively drug resistant TB was only first described in 2006, so doctors have been struggling with finding the right treatment approach. A recent study shows a way forward by proving that aggressive, individualized drug therapy can cure more people. The most common form of tuberculosis kills 2 million people every year. Patients who fail to finish previous rounds of drugs can develop extensively drug resistant tuberculosis, or XDR-TB, the least common but most deadly form of TB. Many countries do not even test for XDR-TB, so no one knows exactly how many cases there are. It is only successfully treated in about 30 percent of patients, according to tuberculosis experts. Patients who are not cured can continue to spread the drug-resistant strains, which can cost up to 100 times more to treat than drug-susceptible TB. In patients who also have HIV, it can kill in as little as two weeks. 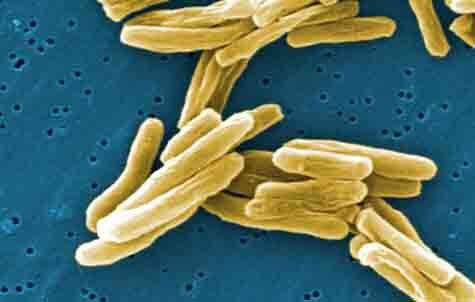 However, results from a small trial published in The New England Journal of Medicine in August achieved a cure rate of more than 60 percent for patients with XDR-TB in Peru. Researchers from Harvard Medical School and Brigham and Women’s Hospital in Boston treated 651 patients, 48 of whom had XDR-TB. The other 602 patients were diagnosed with multi-drug resistant tuberculosis, or MDR-TB, which is also very difficult to treat. MDR is resistant to the two most effective and least toxic drugs. XDR patients face an even more daunting recovery because they are resistant to those drugs and at least two other second-line antibiotics. That aggressive early treatment, tailored for each patient based on which drugs they were resistant to, included an average of five different drugs. After two years of treatment, 29 XDR and 400 of MDR patients were cured. In Peru, the national government works with the World Health Organization to pay for the treatment. WHO estimates it will take more than $50 billion to meet their goal of saving 1.2 million TB patients by 2015. “This demonstrates quite well that when you put in place everything possible, from early diagnosis to the right drugs and close monitoring, this is what you achieve,” said Dr. Mario Raviglione, director of the WHO’s Stop TB Department. But Raviglione disagrees about how easily this can be replicated. Doctors from Harvard have been working in TB management in Peru for more than a decade. Many of the components were already in place, from well-trained staff to access to a well-equipped lab. Carole Mitnick, lead author of the study and professor of social medicine at Harvard University, said there is no reason why a bold, non-standardized approach to drug therapy can’t be used in other places. She argues that additions like nutritional support and individualized drug regimens are a lot cheaper than having to keep starting new rounds of treatments after the previous ones fail. Will there be a malaria vaccine? What’s going on with Ebola? Is it still around?